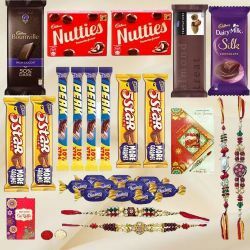 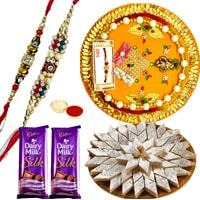 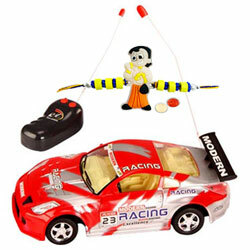 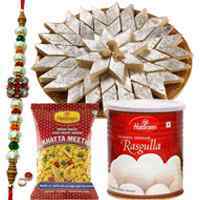 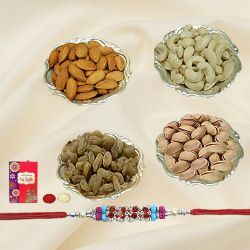 Description : Add to the charismatic Raksha Bandhan, order online this gift of Cool Heartfull Feelings of Auspicious Rakhi supplemented with a Rakhi, Roli Tilak and Chawal free of cost. 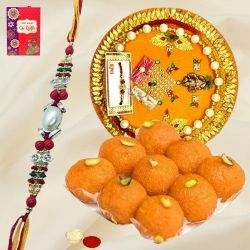 Celebrate this occasion in style with this delightful Hamper containing 500 gms Cake, 1 kg Rasgulla and 12 Red Roses with a Free Rakhi wrapped up in your love. 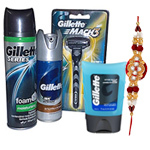 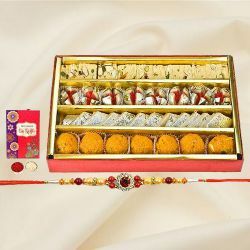 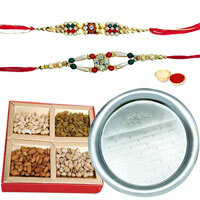 Add to the charismatic Raksha Bandhan, order online this gift of Cool Heartfull Feelings of Auspicious Rakhi supplemented with a Rakhi, Roli Tilak and Chawal free of cost. 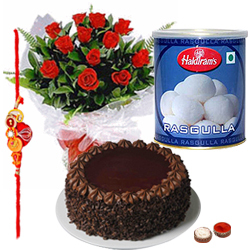 Celebrate this occasion in style with this delightful Hamper containing 500 gms Cake, 1 kg Rasgulla and 12 Red Roses with a Free Rakhi wrapped up in your love.